With four kids to educate and a myriad of outside activities and volunteer obligations to keep track of…not to mention homeschool reviews to write (ahem)…it seems like I have this calendar, that organizer, this stack of sticky notes, plus sundry mental notes to wrap my head around. It’s no wonder stuff gets forgotten. Like the time I forgot to take my daughter to ballet. Or the time my husband forgot to tell me that he was going to be in an all-day conference. Or the many times I forgot to come up with a dinner plan. Wouldn’t it be nice to have one place to keep every family member’s schedule, appointments, special activities, grocery lists, and so on…organized and readily accessible? And what if you could set it up to automatically email out updates? You can do all these things and more with Homeschool Planet. Easily track attendance, grades, assignment completion, and more. Your plans can be as detailed or as basic as you want them to be. You can type in every single assignment, complete with page numbers, resources used, etc. Or you can just say “do the next lesson in math.” The choice is yours. You can also set classes to meet every weekday, particular days of the week, once a month…the scheduling aspects are also very flexible. I can mark it complete, remove it, move it forward to another day, or shift the whole schedule for that class forward, all just by clicking the right check box and saving it. Record appointments, classes, extra-curriculars, volunteer hours and more. 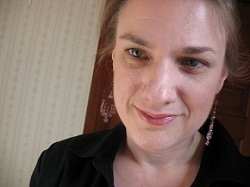 You can schedule things at particular times or simply schedule them for a particular day. Keep To Do lists and grocery lists that can be printed, emailed, or texted. Use the Calendar View to look at the whole family’s schedule for the day, week, or month at a glance. You can set it to show everyone or just certain people. As you can see, assignments and activities are color-coded and the grid shows me which family member is doing what. Each “subject” or activity type has an assigned color. Grayed out items have already passed. Use the Planner View if you want to see what needs to be done in a list. Just as in the calendar view, you can view a day, week, or month at a time and select which folk’s items are displayed. There’s a print button near the top of the screen that allows me to print any view easily. I like to use the planner view to give each of my children a list for the week. I click the“show calendars for” drop-down, choose one child, and then I print the resulting list for that child. This is a great way to compromise between paper planning and electronic planning if you really need something physical for yourself or for your kids. None of my kids want to mark their assignments done online, but they do get the satisfaction of checking the boxes on the list so I know what they have completed. 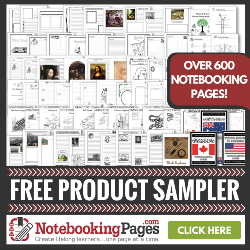 Purchase pre-made lessons plans for many popular programs! Notice in the screenshot above that I have Mark Kistler’s Draw 3D program scheduled into Homeschool Planet. The pre-made lesson plans are one of my favorite features of this planner. As you can see, not only does it tell me which lesson to do each day, it gives me direct links to the materials I need to access in my Draw 3D account, including the lesson videos and the printable portfolio pages. This saves me time and effort. 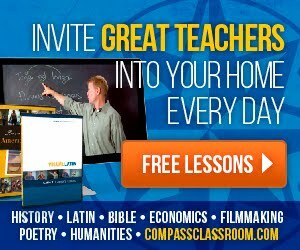 Upload your own resources or link to web content in your own lesson plans! Set up log-ins for each family member, so they can check off things as they complete them. You can also get automatic email updates and weekly digests so you’ll never forget an appointment. You can also customize your dashboard by changing the theme and adding useful widgets. View your plans on your mobile device. While the mobile view has limited functionality (you can’t input assignments, for instance), you can view your assignments and appointments. This worked fine on my Kindle Fire and I could even access the resources that I had uploaded. I can set the schedule for this class, including which days it meets, at what time, and for how long or I can simply leave at no particular time as I did here. I love the fact that I can have some classes at particular times (like co-op classes) and others at no particular time (like subjects we do at home). I can edit each assignment by clicking on that line and editing it, or clicking the options to the right to add additional assignments. The options drop-down also allows you to add resources (which I mentioned earlier) and to move that assignment to another day or even merge it with another assignment. Lots of flexibility. By clicking on the tabs for each of the children taking this class, I can also edit the assignments for particular children. This is an easy way for kid of different ages to share a class, but to also have different assignments that fit with their abilities. Under the “Grading” and “Track Hours” tabs I can setup grading and enable the program to track hours. These are valuable features if you live in a state that requires tracking hours or if you have a high schooler you are putting together a transcript for. 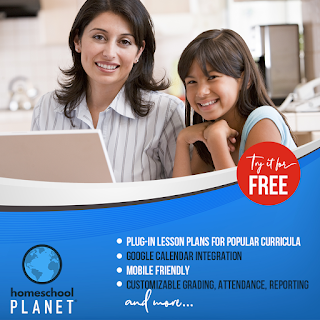 While Homeschool Planet is easy to use, it would be a lot of work to put in all the assignments for a year-long class. It’s easy, but it is time consuming, but then any method of detailed planning is, isn’t it? Which is why I like the pre-made lesson plans so much---they do make life much easier. I’m looking forward to seeing more of these become available. For other classes, I’ve found that entering a couple weeks worth of assignments at a time is not too bad and probably takes me about as much time as it would to do it with paper and pencil. I’m not a plan-what-I’m-doing-next-February kind of homeschooler anyway, so this works for me. I suspect that in the Fall when we start with our co-op that meets two days a week, Homeschool Planet is going make a positive difference in my life. Since three of my children will have a syllabus for each class, it should be easy to fill in those assignments. I can’t imagine them trying to keep track of all those separate lists of things (or me keeping track of them keeping track, ahem), but being able to combine them all into planner one just might work. As I will also be teaching a class, I’ll be able to enter my own syllabus into Homeschool Planet so I don’t lose track of where I’m at. Can you believe that I’m excited about a planner? It used to be that I was just a “do the next thing” kind of homeschooler. Do the next math lesson. Do the next chapter of history. This worked well for me for many years. And then I had a high schooler. And four kiddos doing very different things. It has gotten to the point that even “do the next thing” is complicated. Add to the educational stuff all the outside stuff. The scouts stuff. The ballet lessons. The volunteer stuff. I’ve always been a paper girl, too, but my paper has turned into a pile of index cards and sticky notes added to calendars and lists---it’s a mess that has taken over my desk. I’m looking forward to reclaiming my desk. I think Homeschool Planet is a great tool and I’m looking forward to putting it to its paces over the coming school year. 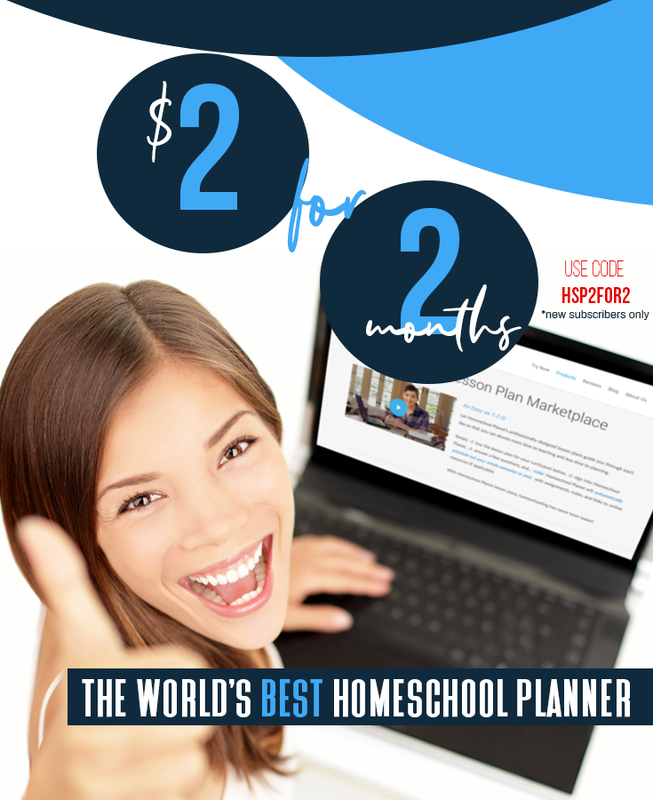 If you choose to buy, Homeschool Planet is $69.95/year or $7.95/month.